- The true length of this axle shaft is 172mm long. 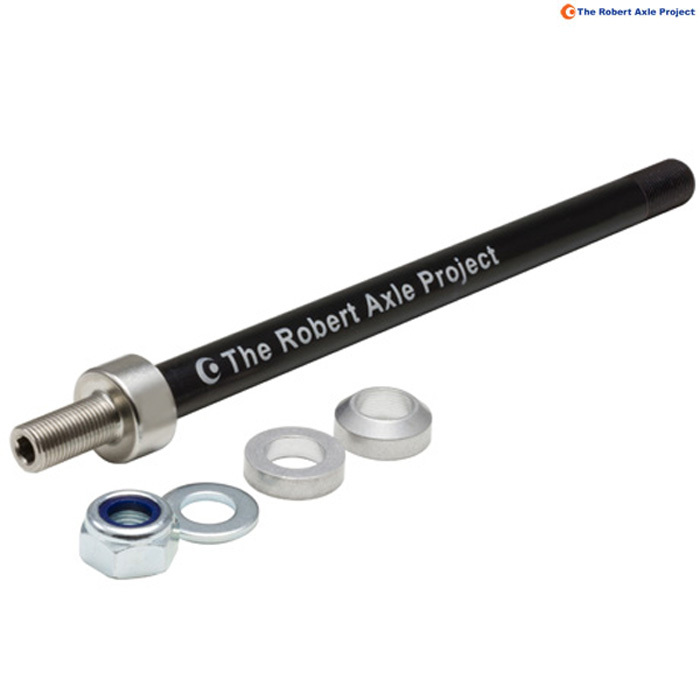 This axle comes with a 6mm flat & a 6mm tapered (X-12) spacer. So this axle can be 172, 167 or 160mm long depending on spacers used. Great customer support, fast shipping. Great customer support from SJS and fast email responses. Shipping was excellent. Have only tried to mount the axle on my bike and it fitted perfect. Haven’t rode it yet due to lots of snow. Feels like good quality. Needed this axle to fit my new cargo trailer behind my Radon ZR Race 27.5 MTB. Works great!